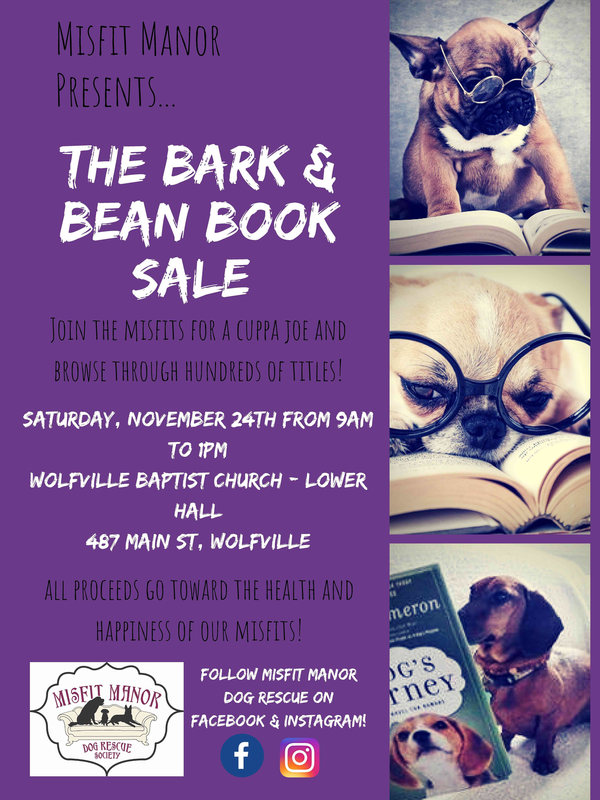 Book sale for Misfit Manor Dog Rescue. Pop by and see what we are all about. Please contact us if you have any books to donate.